Six of the 2018 top 8 finalists in the 200 IM return to the 2019 championships, amongst them is Stanford’s Ella Eastin, looking to make history in this event. Eastin aims to defend her 2018 IM title, and with Kathleen Baker now pro, it looks to be a clear advantage. With Eastin’s choice to swim non-discipline events at Pac-12s (500 FR/400 IM/200 BK), it gave her the opportunity to shift focus on individual strokes. With Eastin’s only competitor is the clock, a sub-1:50 IM will most likely be in her sights. SEC rivals Meghan Small (Tennessee) and Sydney Pickrem (Texas A&M) will face off once again in the battle for second place. At the 2019 SEC Championships, Pickrem was dethroned of her 2018 title and SEC record by Small. However, Small had the non-traditional strategy of skipping both of her breaststroke pullouts during the race. Although Pickrem still had the faster breaststroke split of the two, it wasn’t enough to take down Small. The NCAA final will be the ultimate test of Small’s bold strategy over Pickrem’s experienced breaststroke/IM. On the psychs this year is USC’s butterfly-star Louise Hansson. 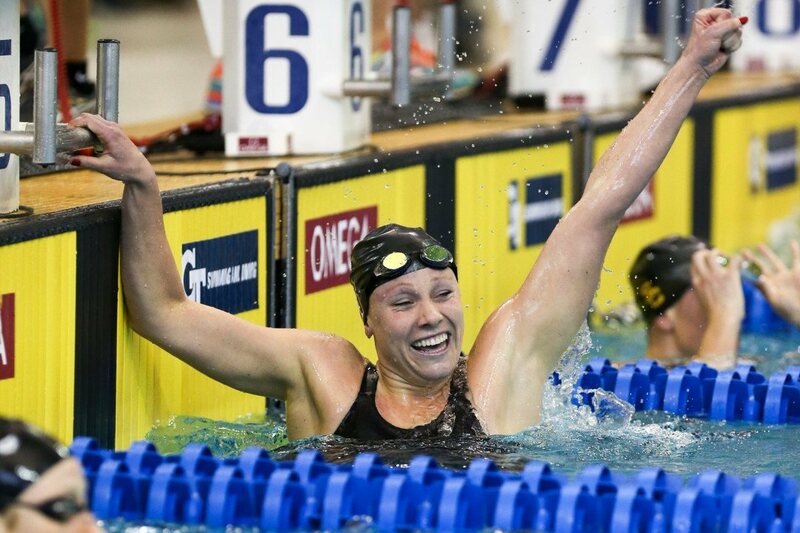 However, last year, Hansson scratched her 16th-seeded 200 IM time from prelims. Hansson’s 200 IM looks much better this year after breaking her 2-year-old PB of 1:53.72 with a 1:52.50 at the 2019 PAC-12s. In 2018, Michigan’s Siobhan Haughey and Wisconsin’s Beata Nelson were seeded 1:53.48 and 1:53.85, respectively. While Nelson only dropped 0.03 seconds, she secured her spot in the top 8. On the other hand, Haughey gained to a 1:55.01, causing her to finish 10th in prelims. Haughey has had more top 16 appearances than Nelson, who had major improvements from 2017 to 2018. Currently, Nelson (1:52.27) and Haughey (1:52.36) are seeded 4th and 5th this year. A similar situation happened in 2018 with Indiana’s Bailey Andison and South Carolina’s Emily Barksdale. 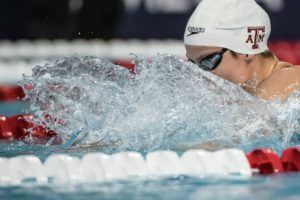 Both swimmers were entered less than two-tenths apart, however, Barksdale’s prelims swim bumped her out of the 2018 top 8. In their 2 other NCAA appearances, Andison finalled both years while Barksdale finished out of the top 16. This year, Andison and Barksdale are seeded with the same #6 seed of 1:53.27. Lurking in 11th on the psychs is the 6th member of the 2018 top 8, Kentucky’s Asia Seidt. Seidt is currently entered with a 1:54.37, however, her personal best is a 1:53.04. Seidt was top 8 finalist in both of her previous NCAA appearances, but in 2018 Seidt gained and finished in 7th. Her 2018 entry time could have placed 4th if she maintained it. Dark Horses: Freshmen Vanessa Pearl (Florida) and Isabel Ivey (Cal) made massive improvements in their 200 IM times from high school to their collegiate debut seasons. Both swimmers dropped nearly 2 seconds from their HS personal bests at their respective conference meets. While not particularly known for their IM events, if the freshmen were to continue their rises in times, they could make a huge impact on the upperclassmen-heavy event.